Preventative skin care can help you maintain youthful, healthy skin and slow the effects of aging. With the right treatment plan, you can prevent skin damage and enjoy vibrant, smooth, and youthful skin even as you age. Microdermabrasion treatment offers a gentle, non-invasive way of rejuvenating the skin. Using a minimally abrasive instrument to softly sand the skin, microdermabrasion exfoliates the damaged outer layers. By gently removing the surface layers of skin, microdermabrasion brings the untouched younger layers to the surface and eliminates the early signs of sun damage, fine lines, and aging. This slows the rate of developing age spots, scars, wrinkles, and other imperfections. Microdermabrasion may be performed alone or in combination with other preventative facial treatments to keep the skin soft and smooth. It is best performed as a series of treatments. 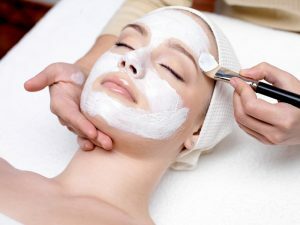 Facials are customized skin rejuvenation treatments that can be performed to treat and prevent skin conditions. Depending on your needs, your facial may be designed to cleanse, exfoliate, nourish, and/or hydrate your skin. With healthy skin renewal, facials can counteract and even prevent skin damage due to acne, sun exposure, and aging. Facials are best performed as a series of treatments to maintain skin youth and vitality. A photofacial uses intense pulsed light to repair damaged skin and maintain healthy skin. Using varying light wavelengths, a photofacial can not only rejuvenate and repair the skin but can also stimulate healthy cellular regeneration to prevent and slow aging. Patients will have minimal discomfort and no downtime with this treatment. As a preventative treatment, a photofacial should be performed two to four times per year. This treatment can be used to prevent aging and skin damage anywhere on the face and body. PRP, short for platelet-rich plasma, can be used to promote and maintain healthy skin in the face. The PRP is isolated from the patient’s own blood, which is drawn from a vein in the arm at the beginning of the treatment. PRP can promote healing, stimulate cellular growth, fight disease, and trigger blood vessel growth to keep the skin healthy, vital, and young. A series of treatments can produce the best results, and results can last for two years. Patients can expect their skin to look brighter, smoother, and more vibrant and youthful after a PRP facial.